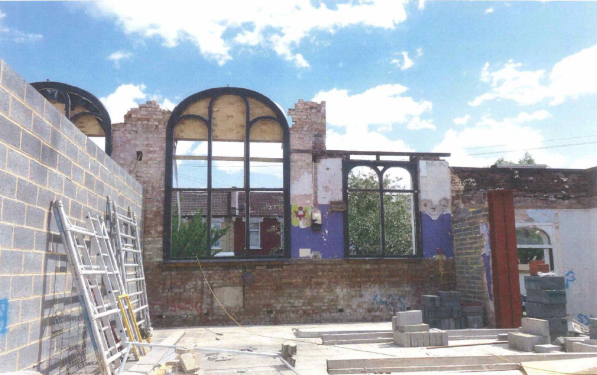 Kenwood have just completed a project in conjunction with a building company to work on an old church in Stoke Newington. Our clients have demolished much of the church leaving the beautiful original faced, complete with large windows and brick detail. Kenwood have installed a new damp proof course to the original walls ensuring the newly constructed apartments will remain damp free. In this particular instance, our contract is limited to the new chemical damp proof course with the essential replastering works being carried out later, once the property is ready for replastering. With our work now complete our clients can complete the renovation and create beautiful new apartments ready for occupancy.